Back in 2007, McCall was the club legend turned managerial rookie, whose wholehearted nature would prove part of his undoing. Now, he returns, armed with an apparent steel and grit garnered through a successful spell with Motherwell (he guided them to third and second placed finishes in the SPL, and to the Champions League and Europa League with limited resources) and work with the Scottish national team. Meredith was as shocked as anyone when he learned of Parkinson’s departure, and was in his car when his agent broke the news. But football moves on quickly. Filipe Morais has already endorsed McCall’s high intensity approach, and Meredith also speaks highly of the new City boss. “He’s brought an energy to the camp and he’s obviously got good experience,” Meredith begins. “In training, he has a different philosophy to how it was under Parkinson, but it seems like we are playing good technical football, so we will see how it goes. It looks positive. “He seems like a good gaffer. He seems good at what he does. He seems to have a really good rapport with the fans and everyone respects him. He’s bringing something new to Bradford, to the camp, that I’ve not seen before. You can tell he’s got that international experience in terms of the way he takes training – it’s really well thought out, very technical and gets the best out of all of us. It looks like he’s bringing in players that won player of the year where they were, and it looks like they’ve got the ability to kick on and do well. It seems like a culture where they want people that want to play for the club, work hard and play good football. With change of this nature comes anticipation of a slightly different playing style. McCall has spoken already about playing attacking, expansive football and penetrating the box more – something Meredith echoes. Meredith is no stranger to change and transition. At 16, he made the biggest move of his life: relocating from Australia to England to live in digs with a “lovely couple”, Larry and Sheila. A Derby County scout had spotted the young Meredith playing football in Melbourne. With uncertainty surrounding the then-fledging A-League, he chose to emigrate. Opportunities at Derby, however, would prove limited, and loan spells with Cambridge and Chesterfield would again only yield a handful of appearances. Meredith signed for League of Ireland Premier Division side Sligo Rovers and, the following year, Shrewsbury Town, with a loan at AFC Telford completing the latter spell. It was with Conference side York City that he would eventually make his name, becoming part of the side that won the 2012 FA Trophy Final and the Conference play-offs. 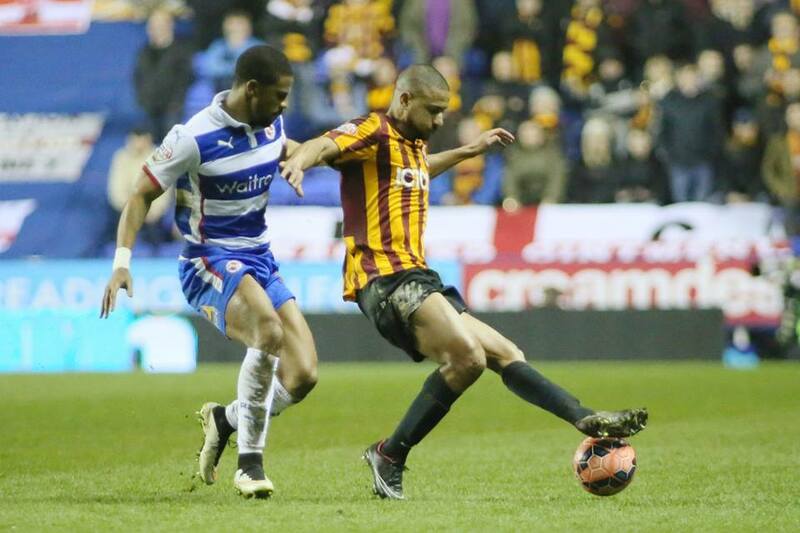 Four years on, he is now closing in on his 140th game with the Bantams, and shows few signs of closing down. Even so, it’s not always been plain sailing. 2013 was marred by the bout of glandular fever that robbed Meredith of his chance to play in the latter stages of the League Cup run, and he missed the games against Aston Villa and Swansea; a year on, he broke a metatarsal bone in his right foot and faced another spell on the sidelines. The summer of 2014 would see Meredith handed a shorter-term contract as negotiations floundered; in came Alan Sheehan, but Meredith’s response would cement his place as the undisputed first choice left back in a defence that would go on, the following season, to clock up a record number of clean sheets. Now, he looks back on those setbacks with distance and maturity. “I think [the contract issue] was a bit of miscommunication,” he explains. “I was having problems with a previous agent where he wouldn’t let me out of my contract with him, so it stalled negotiations with Bradford. They must have taken that as a sign that I was maybe not going to play games for them or that the deal was a bit iffy, so they were well within their rights to sign Sheehan, who was a good left back. At the time, it was a bit frustrating, but you get on with it. You need two left backs anyway. Amid times of change to the higher echelons, it is reassuring that the back four – injuries apart – consists of familiar faces, and it is perhaps telling that stalwarts Stephen Darby, Rory McArdle and Meredith are, along with James Hanson, the last History Makers standing after four summer rebuilds. Their off-field closeness is obvious and has enhanced Meredith’s time here. Does he have a time in mind? “I think 31, 32, I’ll look to move home. I’d like to end my career playing for a Melbourne club. I’d love that. Because when I first left to come to England, there was no A League, no National League – they’d cancelled it for a year until they built the A League. So it’s been really interesting watching it grow over the years. What about the Socceroos? Last autumn, Meredith made his debut for the Australian national team, featuring in their 3-0 win over Kyrgyzstan in their Asian World Cup qualifier. Meredith relished the experience, but sees success at City as key in opening the door for further international game time. 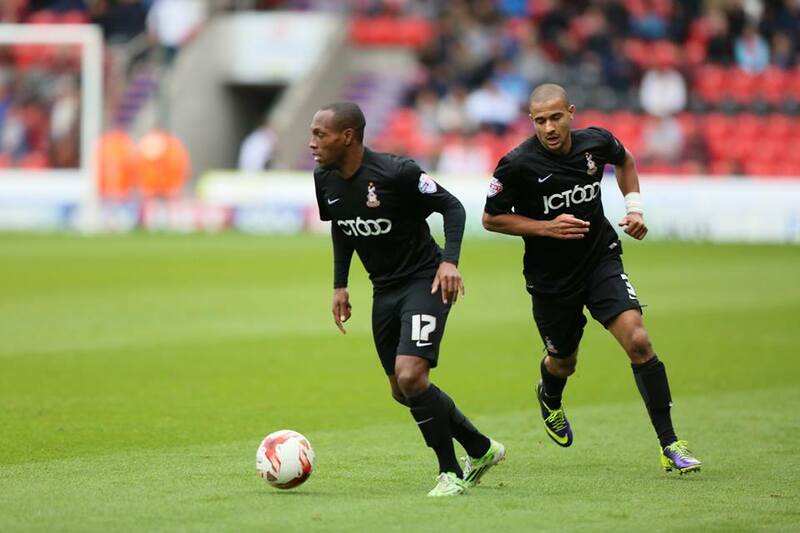 “I just want to work as hard as I can, hopefully get promoted and play regular Championship. That’s my football goal – that’s what I want to do,” he begins. “I think through doing that, and doing well at club level, I’ll potentially get another opportunity to play for the Socceroos. It’s difficult, because there’s a couple of good young Australian left backs – it makes it a bit more challenging, but anything can happen in terms of injuries and loss of form. Interesting read, Katie, thank you. James Meredith comes across as a very level headed person. Under this new attacking style of football under McCall, Meredith could be a key player this coming season. A very well presented article, Katie…………. in Journalistic terms, you are on the ‘right track’.